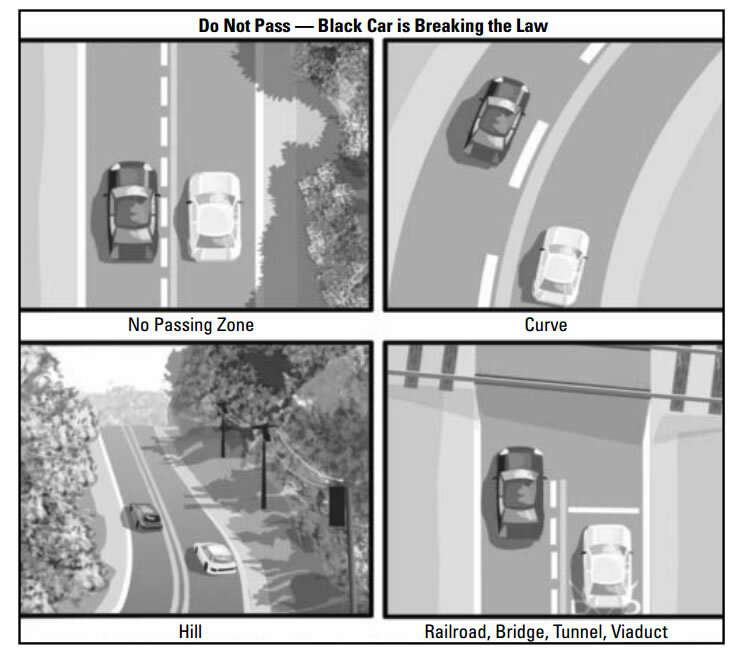 Illinois laws regulate and detail how drivers are supposed to act in traffic. 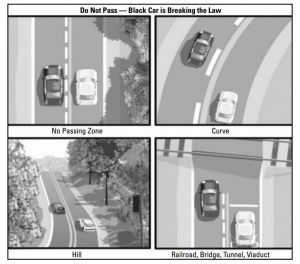 These are so-called “Rules of the Road“, part of which explains how to properly, lawfully and safely pass other vehicles in traffic. Drivers must use caution when passing another vehicle. On a two-lane highway, the left lane should be clearly seen and free of oncoming traffic for a distance great enough to permit passing. Drivers should not turn back into the right-hand lane until the entire vehicle they have just passed is visible in the rearview mirror. See also: Lane Usage Rules . Drivers must return to their lane before getting within 200 feet of an oncoming vehicle. The driver of the vehicle being passed must not increase speed until the passing vehicle has completed its maneuver. It is against the law to flash turn signals as a courtesy or “do pass” signal to other drivers. Driving off the pavement or main traveled part of the road is not allowed when passing another vehicle on the right or the left. When passing a bicyclist or pedestrian who is riding or walking on the road or shoulder of the roadway, a driver must keep a minimum of 3 feet between the vehicle and the bicyclist or pedestrian. When they have enough room on a two-lane roadway, and when the vehicle being passed is making or is about to make a left turn. On a one-way street or on a roadway with two or more clear lanes in each direction. At an intersection widened for this purpose. In an area marked for no passing by a solid yellow line or a DO NOT PASS or NO PASSING ZONE sign. On a hill or curve where it is not possible to see oncoming vehicles. Within 100 feet of an intersection or railroad crossing. When the view is blocked within 100 feet of any bridge, viaduct or tunnel. When a vehicle has stopped at a crosswalk or intersection to allow a pedestrian to cross. In a construction zone. All constructions zones in Illinois are no passing zones. In any school zone located in an unincorporated area. In any posted school zone in an incorporated area. When a school bus has stopped to load or discharge passengers. 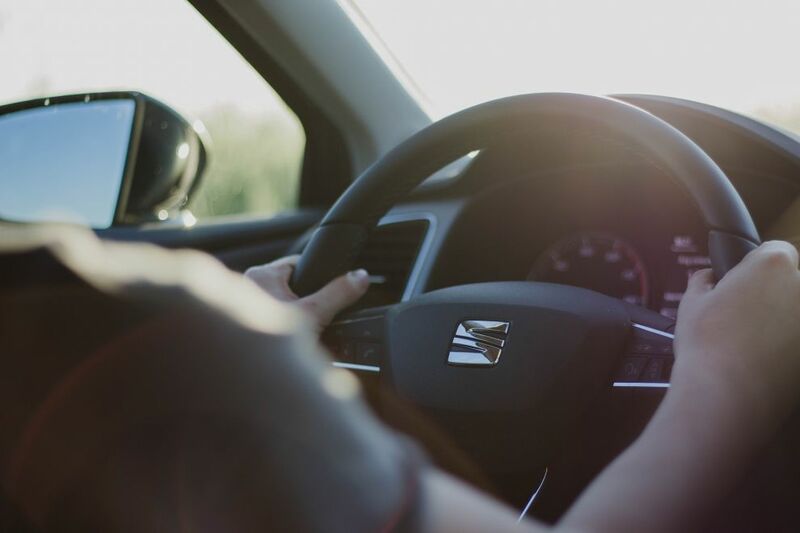 This article about Illinois Passing Vehicles Laws, Rules & Guidelines was last updated in 2019. If any of our information is incomplete or outdated please let us know. Thank you!